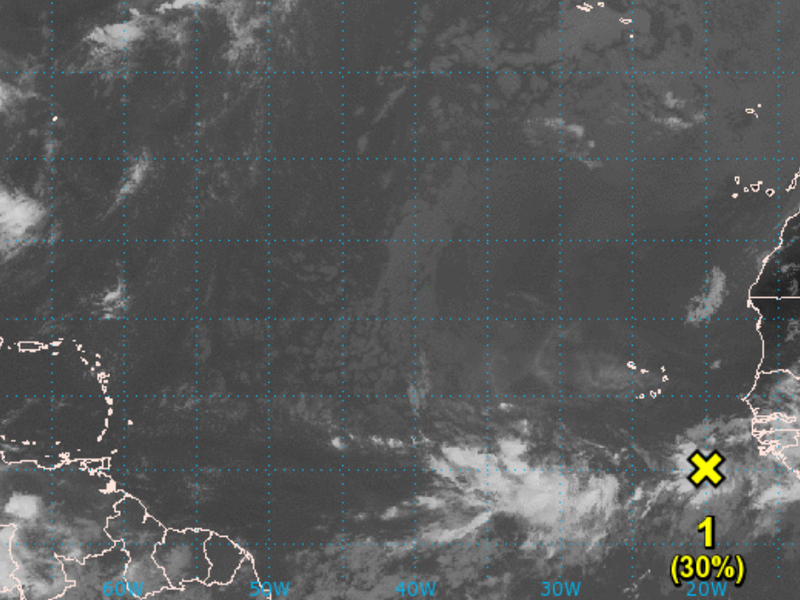 For the last couple of days, the National Hurricane Center has been keeping a close eye on a tropical wave and broad area of low pressure off the coast of Africa. Current forecasts show this wave could further develop into a depression or our next tropical storm — to be named Earl — in the next week or so. The complex of storms is currently moving slowly, only between 10 and 15 mph, so it's going to be a while before the United States should become concerned. Plus, once it makes it to the middle of the Atlantic, it's expected to fall apart. The beginning of this year's Atlantic hurricane season has been an unusual one. It began with a freak hurricane in the middle of the Atlantic in January — well outside of the hurricane season. Then, from the end of May to the end of June, there were three tropical storms in a little more than three weeks! Since then, the Atlantic has been quiet despite the fact this season is forecasted to be one of the most active we've seen in years. This disturbance could be a sign things are beginning to pick up just before peak hurricane season in September — or it could just be another blip in a season that lasts through the end of November.